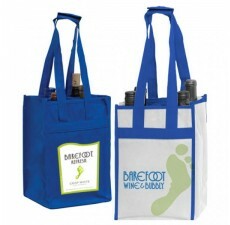 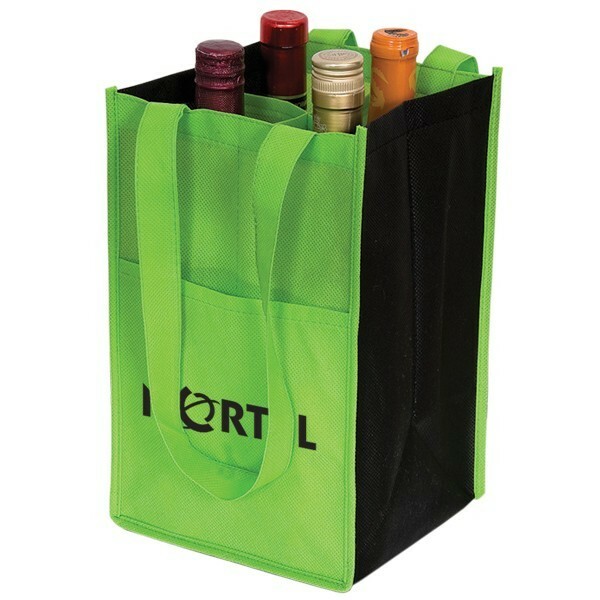 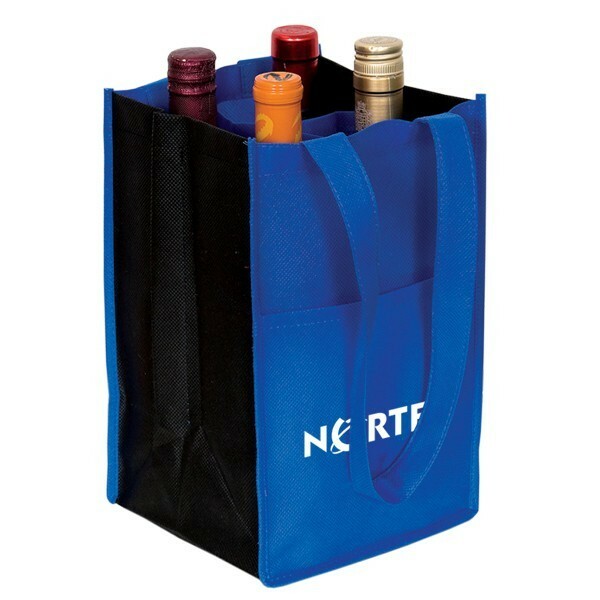 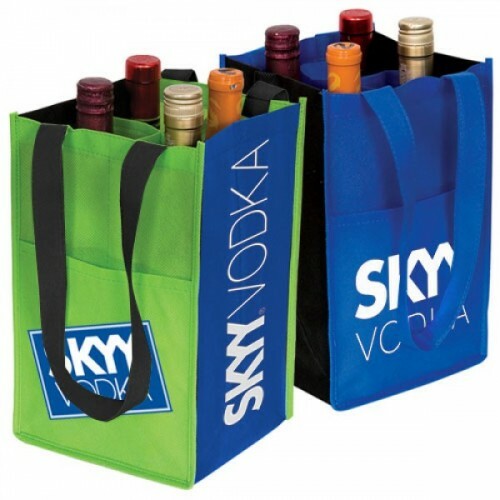 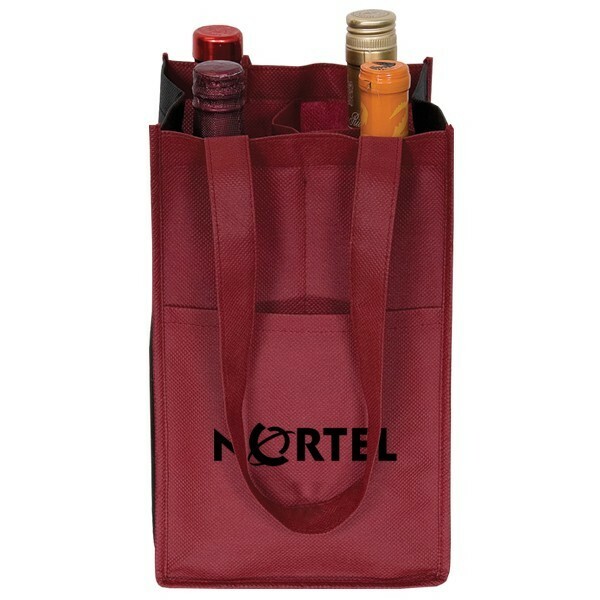 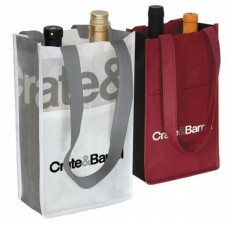 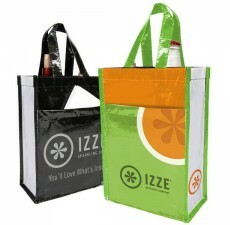 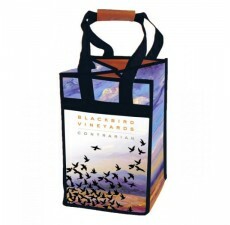 Made of non-woven 90 gram polypropylene, these custom wine tote bags are durable, lightweight, and easy to clean. 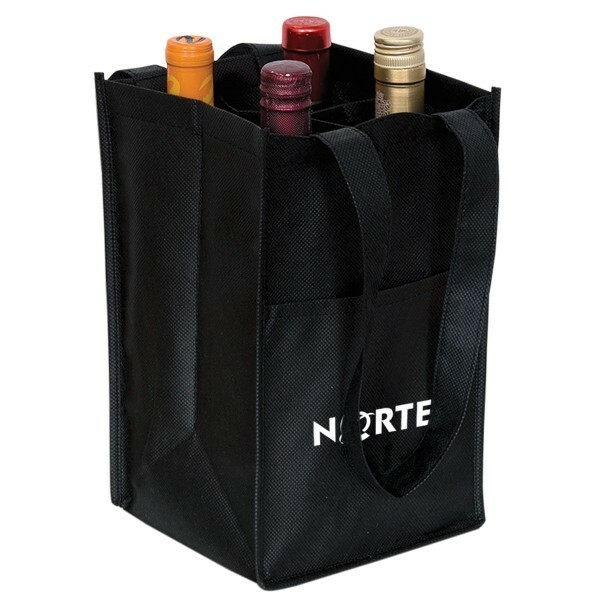 Wine bags like this one are strong enough to hold up to four bottles of wine or soda, depending on your needs. 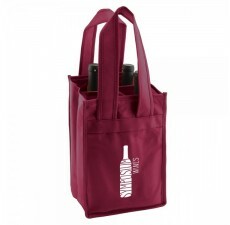 Additionally, these wine bags are fully customizable! 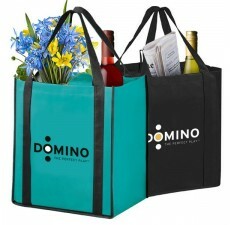 Order your custom tote bags with the colors of your choice and even your own unique logo. 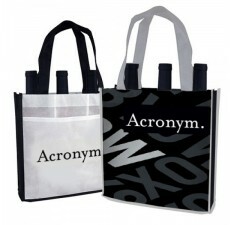 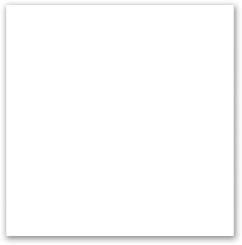 If you have any questions, or wish to get started on designing your own custom tote bags, contact us today.